Viral Videos: Halloween Light Show, Czech Parkour and a Marriage Proposal Ruined! Every weekend, mining YouTube and Reddit for the freshest crop of videos that may go viral is a big job. In case anyone was wondering how much time it takes, I usually dedicate most of Sunday to put the list together. Where this list is different then other "viral video" lists is, at the time of assembly (11:30 p.m. EST), not a single one of the videos in this queue has reached over million hits, so not one these videos is yet truly viral. The fun comes in when you have your say and let me/us know which videos you think has the most potential! Will there be more? And will this seasoned viral video pro be able to duplicate last year's record? Let us know! This video is just so stupid I had to post it. If only for the beat-boxing Chipmunk (0:28) and the Dancing (or DJing) Badgers (1:28). How do you develop skills like these? Czech - Czech - Czech it out! Parkour video that comes to us by way of trending topics in Czech Republic. Love it enough to think it'll go viral? 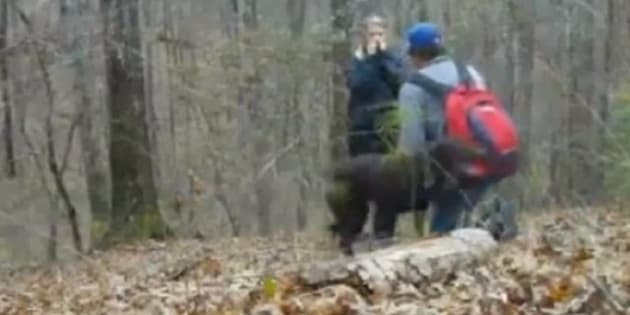 AND, the weekly bonus: dog ruins marriage proposal! That's it. The end. Now time to prep for this week's show featuring Jay Adelson from Revision3. Yep, you heard me, one of Time Magazine's Top 100 Most Influential People in the World is going to be on our show this week! Tune in!